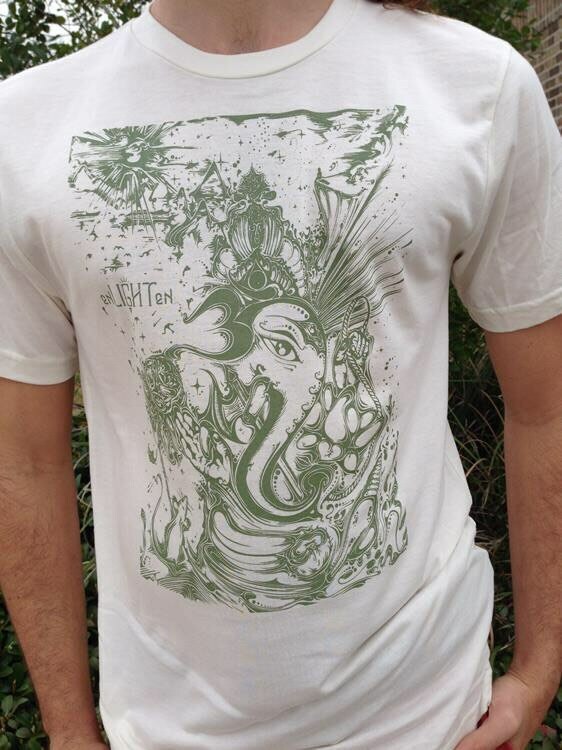 70% bamboo 30% organic cotton, hand printed and hand drawn. We plant a shirt for every shirt sold. Sage green print on a cream shirt.